Mrs. Yarger has been the principal at Wallace ever since I’ve gone there. It seems funny to think she won’t be my principal next year. 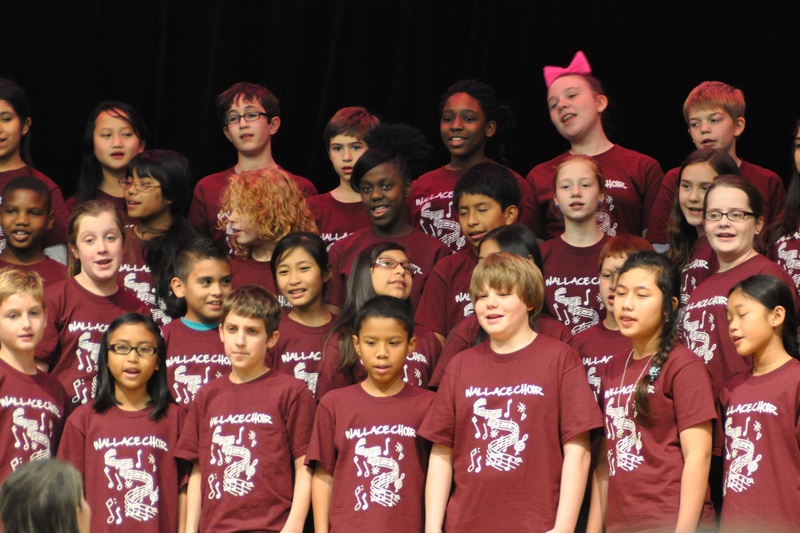 I just realized that I have just finished my last elementary school choir concert. I’ll be in junior high school next year. This year’s concert was fun. Me and my friend Xavier were in the front row as usual. At least I’m not the shortest boy in sixth grade — there are several who are smaller than me, finally. My mom and my sister Krystal came to the concert — that was fantastic! I don’t remember the last time all three of us were together. (I usually see one or the other, now that my sister is grown and has a baby of her own.) Afterwards, we went out to Tony’s for Italian food. It was so good! My friend Xavier is standing next to me in the front row — we used to be the shortest boys in our grade, but I am finally a little bit taller than him. Not much, though. Later, after they went home, I went with my grandparents and my cousins Zachary and Nicholas to see The Hobbit: The Desolation of Smaug at midnight. Whenever there’s a midnight showing of a movie based on a book we’ve all read, my grandparents buy tickets and go with their grandkids. They’ve been doing it since my sister was little. It’s a lot of fun. Sometimes there are people in costume at the theater.We all wore these Lord of the Rings or The Hobbit cast and crew jackets we got. The patches on them come from a friend of my grandmother’s who works for WETA Workshops in Wellington, NZ. You can’t buy them — you can only get them from the film company if you know somebody or worked on the films. Mine is for The Hobbit. My grandparents have jackets for The Lord of the Rings. My grandma is such a nerd — she wore this teeshirt that has a sign from the pub in the Lord of the Rings on it, and when the pub sign for The Prancing Pony in Bree was shown in the movie last night she pumped her fist like she’d won a prize or something.We had a great time…but, boy, was it hard to get up for school at 7:30 this morning! We didn’t get home until 3:20 a.m. 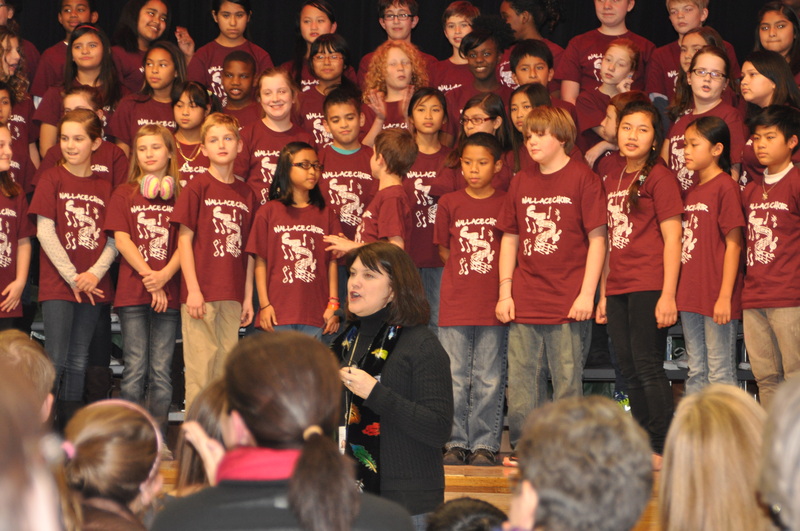 Anyway, here are some pictures from the choir concert. One of the songs we sang is funny — it’s called “A Perfect Christmas Day (If you like that sort of thing)”. 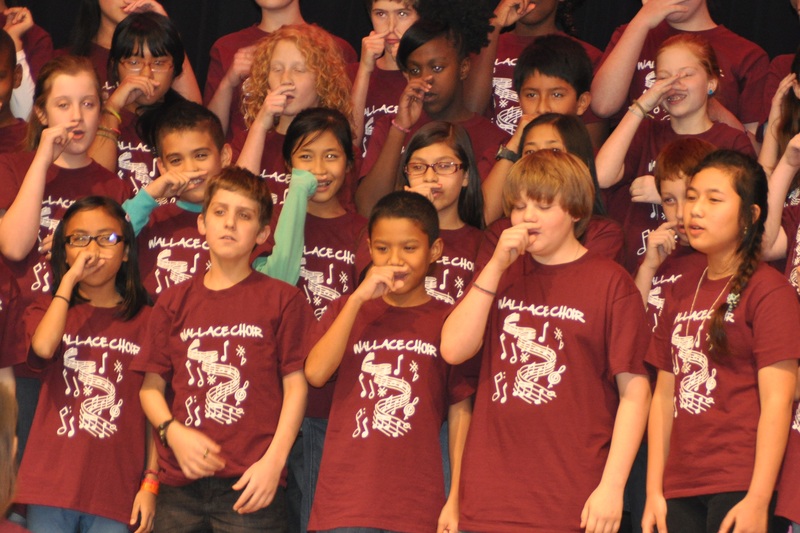 We pantomime having a headache, a runny nose, being cold from playing in the snow, and it ends with the whole choir going “Ahhh-chooo” very loud. It’s a fun way to end the concert. 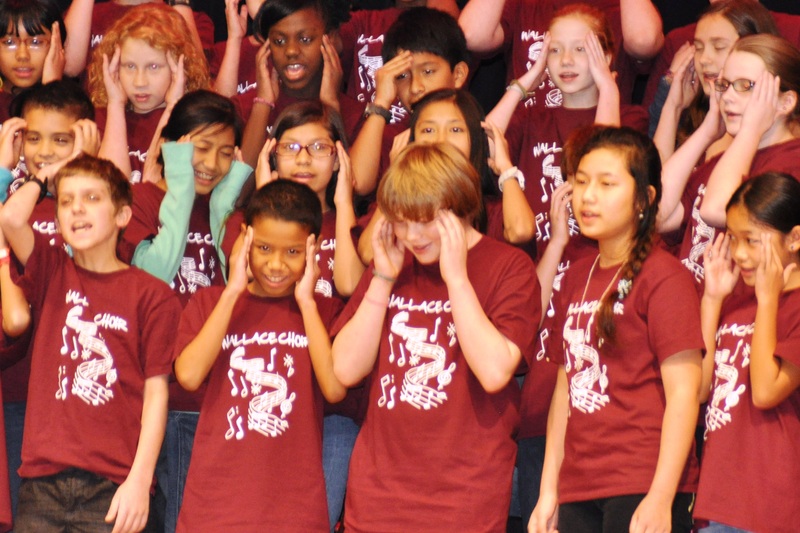 Here’s another picture of the choir pretending to have a headache. 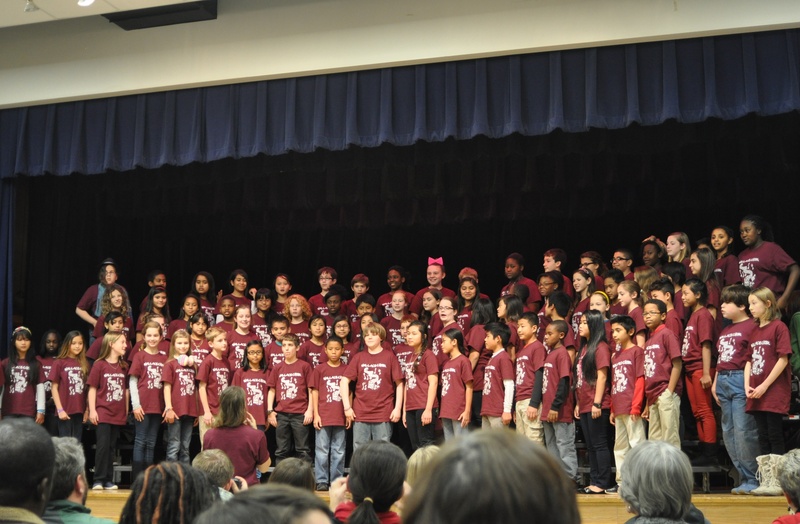 We have 63 kids in the fifth and sixth grade choir — that’s a lot of kids coming to rehearsals after school! 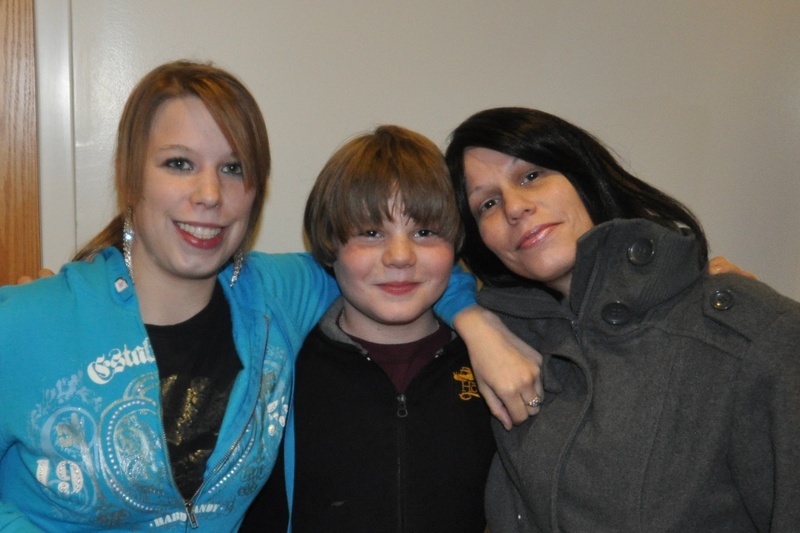 My sister (on the left) and my mom (on my right) came to my concert. It’s the first time I’ve seen them together in a long, long time, so it was nice to have them there!